I guess this one much better! By the way the mashroom on the stub are called armillaria and they are really like that and very old, i’ve been to forest many times, collecting mashrooms of all types. 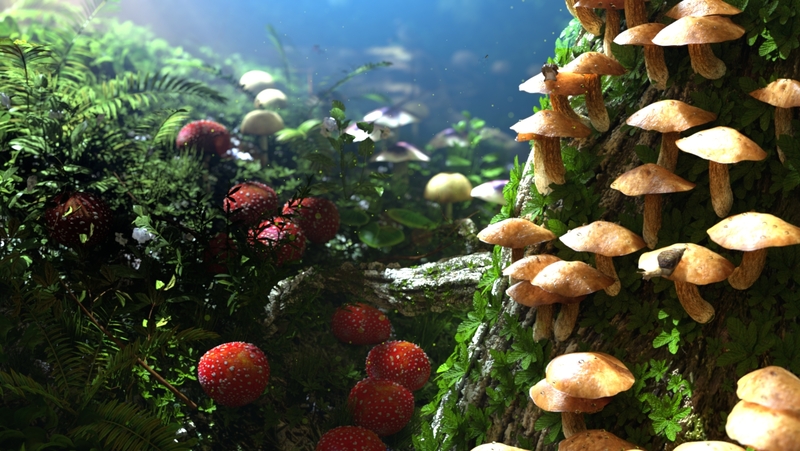 fly-agaric is a bit odd in my scene, i guess i could’ve modelled myself, just don’t have much time to do so. i wish i could add my favourite and very tasty, the tsar of the mashroomsб which is called Cep. That’s strange i can see the image here on my pc, not sure what i am doing wrong! I tend to insert the link by selecting the yellow icon and that’s the only way i can insert the image. Could you explain me how to attach properly? 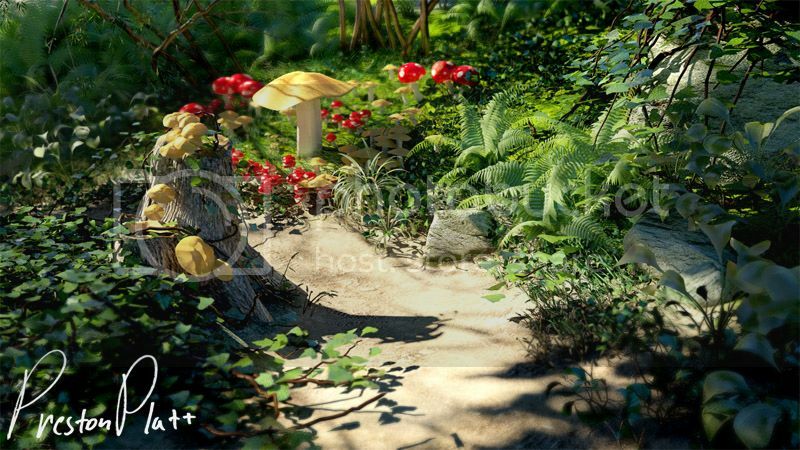 @xcomb:Great shaders, you really nailed the sss of those foregound plants to the right! May I ask what renderer you use, and maybe a look of the shader used for the sss-effect? I used arnold renderer and shaders are similar to Vray ones, but for sss i used “skin shader”. 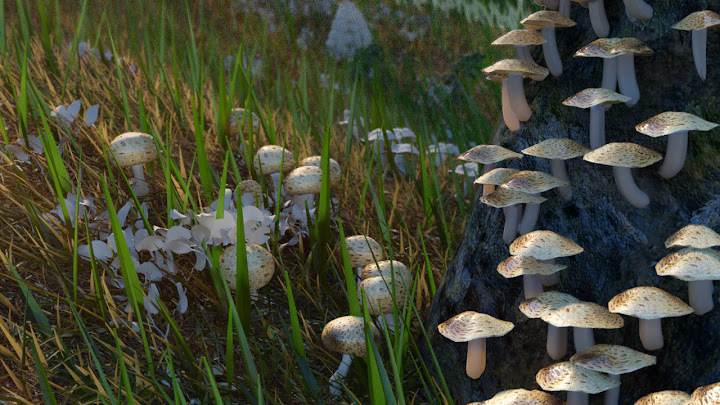 Worked on a first color setup and starting with the textures of the mushrooms. The light still needs more “layers”. to hide him a bit or to take a color more visible? Maybe i can also try with some lights to separate him from the background. XCOMB great image I love the treatment you have given to the image, looks so real ,I must say it is sure 5 star work. Great going with Arnold renderer. Foliage looks wonderful. Thank you very much Yugesh! Thanks everyone for the feedbacks, i am now rendering Full HD format, so hopefully you will see all the details! @preston it’s a great entry ! I will try to make the shadow a bit more soft (the one in the center of the image) and also lower a bit the angle of the image to give more “closeup” effect. The colors in the composition are lovely ! @mdosanji you should give a bit more contrast to the image. Good angle for the image, try to aim up a bit the camera ! @MrBobble . Lovely ! the idea is wonderful. Yo can try to focus a bit more on the shaders. The lighting is very “mystical” . Great shot ! @xcomb. I succeeded in viewving the image. It’s really wonderful lit. I have just some doubt on the texture of the right mushrooms. The bump seems a bit too excessive in the cup (even if they are wonderful!) you could try also a “smoother version”. Also I think that you put to small snails in the image Am I right ? (on the top of two mushroom) if so their shaders is too similar to the one of the mushroom they should contrast a bit more. @glorund great start ! add just a bit of fill light on the left of the image and keep going ! @yohann Thanks a lot for the feedbdack !! you really did a great work and helped our community a lot ! P.S. : I’m preparing the gallery ! of the no smoke challenge. Also please answer to the poll for new challenge ! Stumbled upon this by accident. Finally a chance to take part! Will give this scene a go as soon I’m back home. update, near to final, the blue works nice, thanks jojo. I found also some time for little postwork. Rendered with Octane, postwork in Photoshop. Here is an update i have done! Hey guys. I thought Id post a little making of for fun. The name of the game for this challenge for me was Translucency. I rebuilt the set for A different composition. I built the tree and textured it in Mudbox and the first image shows it. 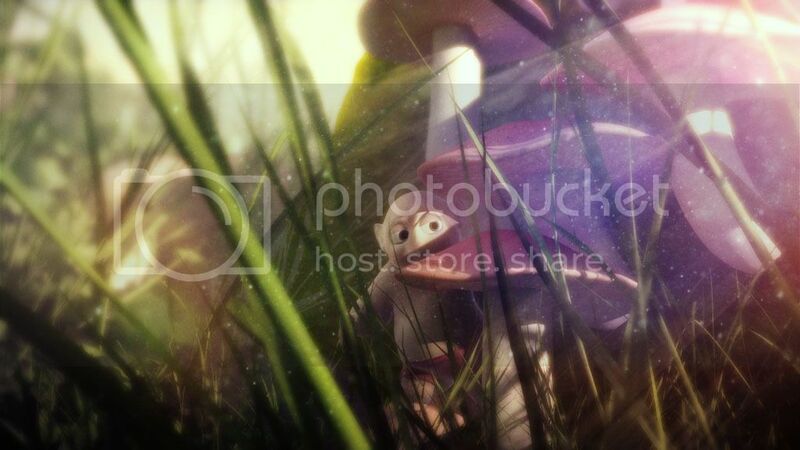 The second image shows the scene un rendered so you can see where the detail was built in. The next image is some of the shading network for a texture. The key for this one was gamma correcting everything. These shaders were very simple so I could make the 50 I needed. To get the transparency for the images that maya provides you need to trick it by using the cutout_opacity node. the first shader shows that. The second one shows the multiply/Divide node used for getting the translucency to be right. Lastly I used the Ivy Generator to add some quick random detail with the Ivy. Its an amazing tool that I will link just incase you havnt tried it out yet. I think that using a http://www.mushroomexpert.com/cortinarius_iodes.html cortinarius iodes texture which is more “clean” and white will really improve your image.